Whether you’re a wine connoisseur or you can’t tell a Malbec from a Merlot, you can’t go wrong when visiting a winery. Why? Because it’s their job to educate you, and all you have to do is smile, sniff, and sip. And as nice as it would be to do that in Bordeaux and Tuscany, the U.S. isn’t slacking when it comes to wine regions. From the sunbaked vineyards of northern California to those in the rolling hills of Virginia and in the midwest, America wineries grow the gamut when it comes to grapes. At worst, you’ll leave any of these historic, award-winning, or just plain cool wineries with a solid buzz; at best, you’ll be taking a case (or three) for the road. Cheers! Over 400 wineries call Napa Valley home, and while it’s one of the smallest wine regions, it still produces about four percent of California’s wine. Oenophiles must visit Duckhorn Vineyards, whose Merlot Napa Valley Three Palms Vineyard 2014 was named the top wine (out of more than 16,000) in 2017 by Wine Spectator. Located along the Silverado Trail in St. Helena, the vineyard’s airy estate house offers stunning vineyard views from the wrap-around veranda—and sits within walking distance of at least 10 neighboring wineries. Tastings start at $40 (reservations required); make sure to try the vineyard’s takes on Cabernet Sauvignon and Sauvignon Blanc, too. Less than 30 minutes down the road from Napa, Sonoma County has an additional 250 wineries specializing in Zinfandel, Pinot Noir, Chardonnay, and Cabernet Sauvignon. It’s slightly less touristy and more laidback than its eastern neighbor, which can make for a better tasting experience. Case in point: Scribe Winery. Instead of sending you into a fancy tasting room, the staff provides you with a Mexican blanket upon arrival so you can stake out your own spot on the estate vineyard’s grassy knoll for imbibing. Tastings (by reservation only) can include earthy Chardonnays, Pinot Noirs, Rieslings, and Sylvaners—and homegrown fruits and nuts for snacking. The Midwest isn’t the first region to come to mind when you think of wine, but Augusta—a mere hour from St. Louis—was actually the first federally approved AVA (or American Viticultural Area) on record; it earned that status in June 1980, eight months before Napa. 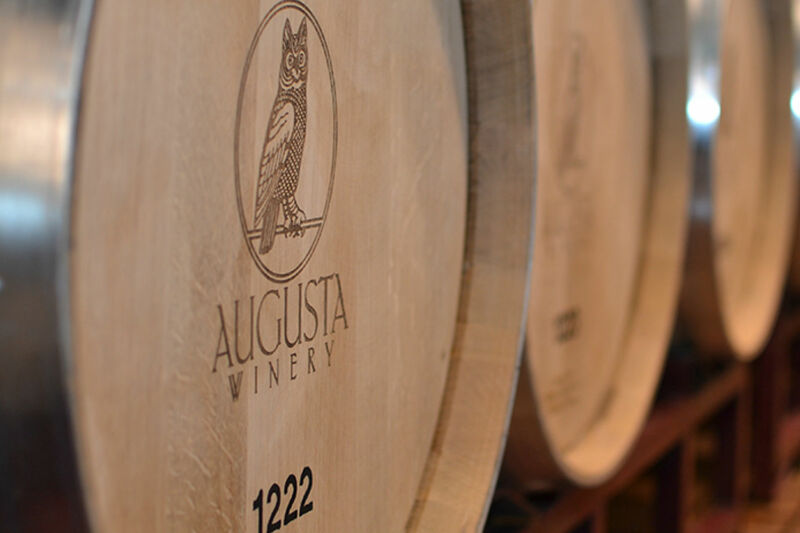 Augusta Winery recently took home an award at the 2018 Missouri Wine Competition for their 2016 Norton Estate Bottled—a special honor considering the Norton is the oldest American grape and Missouri’s official state grape. The winery itself is situated on the bluffs overlooking the Missouri River Valley. You can sample five regular wines for just $5 or more premium/limited production wines for $8. Snake River Valley—which spans 8,000-plus miles across Idaho and Oregon—became an official AVA as of 2007. Eighteen-hundred acres of that land are already vineyards (owned by 52 different wineries), but Skyline Vineyards is by far the largest one in Idaho; it supplies Sawtooth Winery and Idaho’s smaller boutique wineries with Rhone varietals, including everything from Roussanne, Tempranillo, Pinot Gris, and Syrah to Cabernet Sauvignon, Cabernet Franc, Merlot, Sauvignon Blanc, and Riesling. Sample any of them—especially the award-winning Riesling—in Sawtooth’s rustic, wood-beamed tasting room. You can’t see the Sawtooth Range from its windows, but the lush slopes of the Sunnyslope Wine Trail suffice. Napa and Sonoma shouldn’t get all the California wine credit—there are another 200-plus wineries in 11 unique wine regions within Paso Robles, about three hours north of Santa Barbara. And while they grow up to 60 different varietals, these vineyards are best known for producing Zinfandel. You can stop by large-scale wineries like JUSTIN’s, but your best bet is to check out the more boutique Cass Vineyard & Winery, which won Winery of the Year in the Central Coast Wine Competition this year. For a $20 tasting fee, you can sit on the shaded verandah and taste the Rhone varietals grown on their 145 acres. And if you go home with any bottles, make it their prize-worthy 2016 Mourvèdre. Texas Hill Country sounds more likely to serve you a generous pour of Jack Daniels than a hearty glass of vino, but there are 53 wineries spreading out from Austin to New Braunfels. State law mandates that “Texas wine” must contain at least 75 percent Texas-grown fruit, but legislators are looking to boost that number to 100 percent. And some vintners—like at William Chris Wines and Perissos Vineyards—are already doing the job. Duchman Family Winery also sources 100 percent Texas grapes (tasting flights cost $12; make sure to try the Vermentino and Trebbiano), and it’s a quick 40-minute drive from central Austin. The best part: It’s located right near The Salt Lick, where you can soak up all that alcohol with huge helpings of BBQ. Ferguson Friday is here @lecole41 ! Enjoy a rare opportunity to try a library selection of our acclaimed Estate Ferguson. Today we are featuring the 2014 vintage! ~Distinctly influenced by its basalt soul, the wine offers complex aromas of espresso, tobacco, and dark fruit with flint and graphite minerality . Ask about our exciting pre-release offer for the 2016 vintage! The tiny town of Walla Walla, right on the southeastern edge of the state, has a big reputation thanks to its growing wine industry. There are currently 120 wineries and 2,800 acres of grapes spanning the region (which does extend slightly into Oregon), and produces everything from Cabernet Sauvignon and Merlot to Syrah and Sangiovese. L’Ecole No 41, which is indeed located in a French-looking schoolhouse, was the third-ever winery to open in Walla Walla (after Leonetti Cellars and Woodward Canyon Winery, which is right next door). A year after its opening, Walla Walla was granted AVA status. Today, you can sample the winery’s award-winning Chenin Blancs and Cabernet Sauvignon in its stained-glass accented tasting room for just $10. Winemaking in Virginia can be traced all the way back to Thomas Jefferson (who, despite planting thousands of vines around his famous estate was mostly unsuccessful), so it shouldn’t come as a surprise that Jefferson Vineyards is smack in the middle of the Monticello Wine Trail in the Blue Ridge Mountains foothills. The 33 vineyards that make up the trail produce wines from dozens of different grape varieties, most notably Viognier, Cabernet Franc, and Chardonnay. This year, King Family Vineyards won Virginia Wine’s Governor’s Cup competition with their flagship 2014 Meritage, a Bordeaux-variety blend. Drop by their winery and $10 will get you six samples (private tastings in the library and vineyard tours require reservations). There are over 500 wineries in the Willamette Valley, tucked between Oregon’s Cascade Mountains and the Coast Range, with 700 vineyards producing grapes—75 percent of which are Pinot Noir. Eyrie Vineyards in McMinnville, where David Lett planted the first Pinot Noir grapes in 1965, is a must-visit, but considering that 47 percent of the state’s vineyards are certified sustainable acres, wine aficionados interested in sustainability should stop by Sokol Blosser in the Dundee Hills to check out the new solar-powered, green-certified tasting room. Reservations are encouraged, and tastings can take place tableside on the cedar terrace, in the commercial kitchen, or in one of the six light-filled tasting rooms. The environment around New York’s glacial Finger Lakes has proven to be prime real estate for Riesling vineyards, and there are now over 100 wineries in the area. At Dr. Konstantin Frank Winery, you can get all the history: Frank was the vintner responsible for introducing the Riesling (and Gewürztraminer) grapes to the Finger Lakes via Vinifera Wine Cellars. Frank’s son later developed Chateau Frank sparkling wines, and his son launched the more affordable Salmon Run line. Tastings in the Dr. Konstantin Frank Tasting Room are complimentary (and boast picturesque views of Keuka Lake); for a more private experience (and access to more premium wines and limited releases), you can reserve the newly opened 1962 Reserve Tasting Room. This tiny section of east-central Ohio has just nine wineries and vineyards for its 64,206 residents. And believe it or not, it’s home to the most highly rated winery in the United States (as well as to the highest average rated wines), according to rankings by RewardExpert, which analyzed two million wine reviews and ratings from the CellarTracker app. 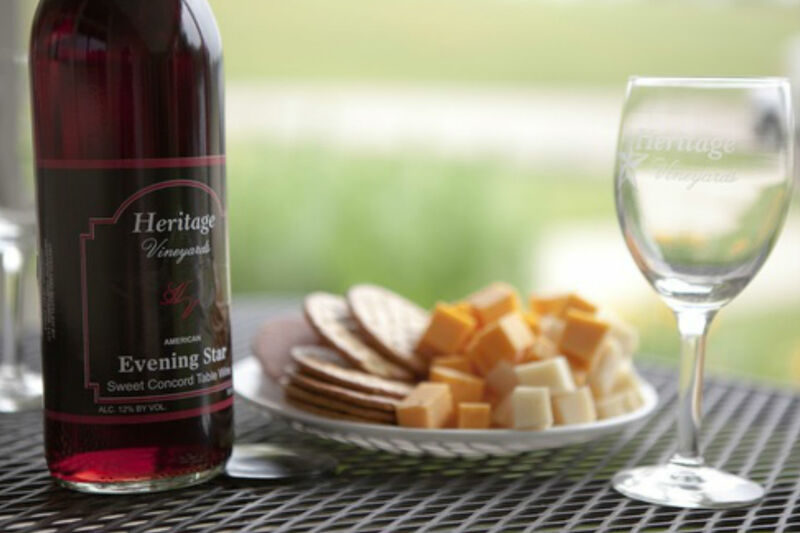 Heritage Vineyard’s 14 types of wine—including fruit, sweet, and dry varieties—are made in small batches from the made from Niagara, Chambourcin, Tramminette, Seyval, and Vineyard Peach grapes grown across three acres of vineyards. If you want more, you can continue along the Three Rivers Trail to visit other Coshocton wineries like Rainbow Hills, Raven’s Glenn, and Indian Bear.